We provide French Lace hair wig in India. It is lightweight. Being so thin, the entire lace base feels comfortable when it gets in contact with the skin. 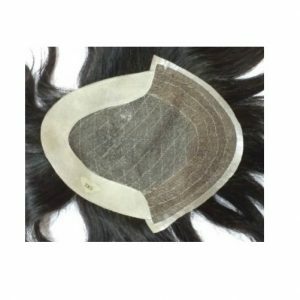 It creates an illusion of hair growing naturally from the scalp. French lace hair patch is light in weight and easy to tape and clean. The French lace hair patch is the most breathable hair patch. A very delicate lace is used in French Lace hair wig system. 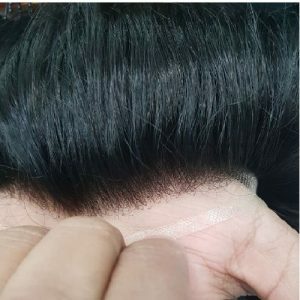 When placed against the skin, the lace becomes totally invisible, interpreted as natural hairline and scalp appearance. 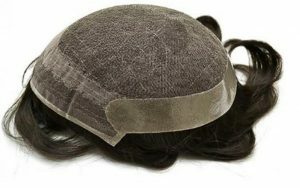 The French lace patch or french lace hair wig gives a natural look and its skin allows the user to create any hairstyle. French lace hair patch is durable and stable. French lace hair patch is considered to be one of the best choices in terms of making strong hair system base. Especially for new wearers, French Lace Hair Skin or French Lace Hair Patch is the best choice. The French lace patch has 120% hair density with 6 inches of hair length, It has freestyle hair route, The curl and wave are the same 30 mm.